London's Metropolitan Police have told Barfi Culture they are looking into a video of three young boys apparently assaulting a young Muslim boy over his religion. The video went viral on Facebook yesterday. 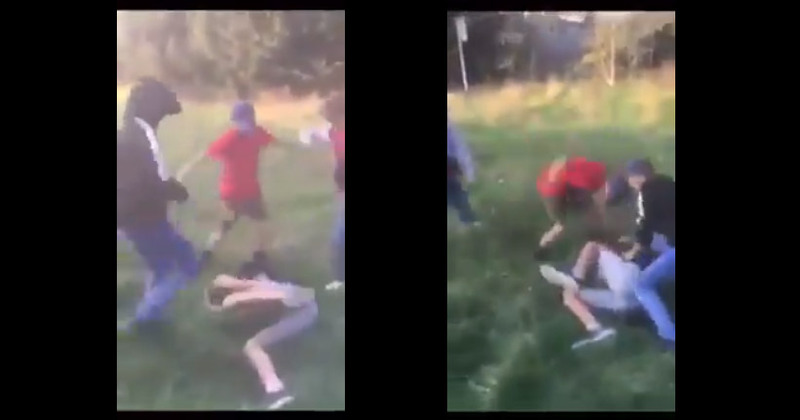 The video shows three boys viciously attacking another child, while another looks on and laughs while filming it on his phone. "Get on your knees... pray to Allah," one of the boys is heard saying as they continue their assault. Robin Armstrong first posted the video on Facebook, writing: "This has got me raging! 3 boys attacking one lad by himself in Feltham, Middlesex whilst older lads film it and egg them on, listen to them tell him to beg on his knees to Allah! He’s scared for his life and I’ve been told he was too scared to even tell his parents! So he was supposed to just live in fear?! " Barfi Culture alerted the Met Police, who said they had been "made aware of this footage". Anyone with more details of the incident is urged to contact the police or DM: @MetCC. We have not yet verified any of the claims made about the video. The hate-monitoring organization Tell MAMA said it was, "shocking stuff" and that they were looking further into it. This story will be updated with more details if needed.